Sweet, Tart and Tangy, Grapefruit are the world’s healthiest fruit. They have been named grapefruit because they grew in clusters similar to grapes. The wonderful flavor of a grapefruit is like a paradise as is expressed by its Latin name, Citrus paradisi. Grapefruits are low in calories but full of nutrients. Let’s see some of the amazing health benefits of grapefruit. 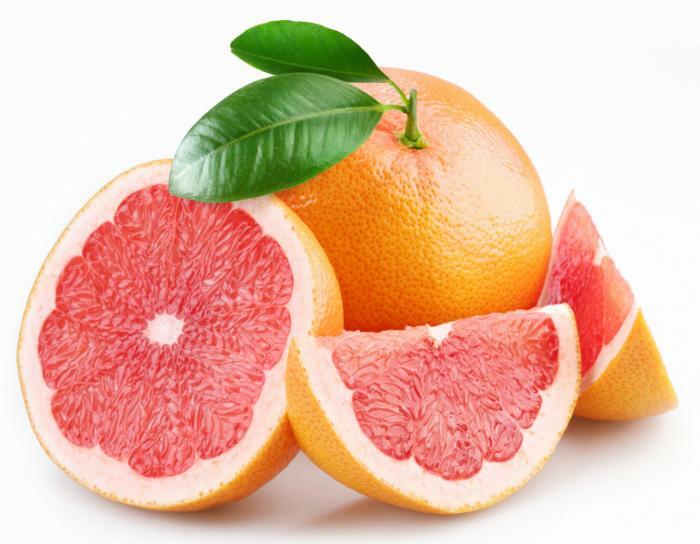 Research continues to reveal that consuming grapefruit benefits weight loss in a a major way. Grapefruit keeps you fuller. Grapefruit is loaded with fiber, keeping you full longer and reducing the likelihood of mindless snacking. One serving of grapefruit has only 53 calories and about 2 grams of fiber. Research has also found that eating half a grapefruit before every meal can lead to greater weight loss in dieters. Grapefruit is one of the many super foods that are high in fiber with very few calories. The amazing thing about grapefruit is that it’s one of the well-known “negative calorie” foods; meaning it takes more calories to digest it than exist in the fruit. The citric acid present in fresh grapefruit juice also increases alkalinity in the body, which can be useful for treating diseases caused by too much acid. The key may be an enzyme called AMP-activated protein kinase (AMPK), which appears to get activated by an organic compound in grapefruit called nootkatone. When AMPK gets activated, it encourages the body’s energy-producing processes, like glucose uptake, for example, which helps boost metabolism. That, in turn, can encourage weight loss. AMPK is generally activated during exercise to help muscles use stored sugar and fat for energy. Animal studies have also shown that grapefruit juice beats out anti-obesity drugs when it comes to weight loss. The consumption of half of a fresh grapefruit before meals was associated with significant weight loss along with improved insulin resistance. Grapefruit Benefits includes an excellent source of vitamin C, which helps to support the immune system. Studies show that eating higher amounts of a compound found in citrus fruits like oranges and grapefruit may lower ischemic stroke risk for women. Also, it is high in enzymes which are helpful to loss fat and weight loss. The powerful nutrient combination of fiber, potassium, lycopene, vitamin C and choline in grapefruit all help to maintain a healthy heart. Health Benefits of Grapefruit: It is rich in Vitamin A and Vitamin C which can prevent and cure a cold and flues. It prevents the accumulation of arterial deposits also called Atherosclerosis. Pectin in this fruit has been found to be effective in reducing the accumulation of arterial deposits, and the vitamin C helps to strengthen and maintain the elasticity of arteries. Grapefruit Juice dissolves gallstones and boosts liver function. Health Benefits of Grapefruit in prevention of tumors and cancers. Lycopene which gives grapefruit it’s red color is helpful to prevent tumors and cancers. Phytonutrients in grapefruit called limonoids inhibit tumor formation by promoting the formation of glutathione-S-transferase, a detoxifying enzyme. Grapefruit contains pectin, which is a form of a soluble fiber than can lower cholesterol levels.